...and is the perfect place to base your exploration of this beautiful area. 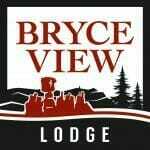 We offer the finest in Accommodations, RV Park/Campground and amenities in the Bryce Canyon region. Ruby's Inn at Bryce Canyon is also a destination in and of itself. You'll enjoy Horseback Riding, Mountain Biking, Guided ATV Rides and Helicopter Tours, along with western experiences such as Rodeos and more. You'll find our Gift Shop and General Store to be the largest of it's kind in the Bryce Canyon area, boasting an impressive selection of authentic Southwestern Indian arts and crafts including jewelry, pottery and weavings. Our General Store also sells many other important items such as groceries, camping gear, clothing, shoes and more. Be sure you check out our Rock Shop featuring rocks, fossils, minerals and petrified wood. 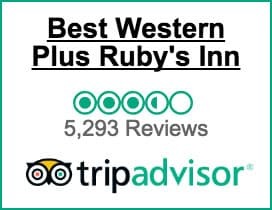 Come experience the outstanding customer service that Ruby's Inn at Bryce Canyon has been providing visitors since 1916. View our Virtual Tour. Open All Year!